Probably our favorite thing at CES 2019 was the time we got to spend with the fine folks from Brydge. In our time together, we got to really delve deep into what it took for them to bring the G-Type to life, the hurdles that had to be overcome to see the project through, and the benefits that are the byproduct of their hard work and unique architecture. While there are some Chromebooks I’m pretty excited about from CES, I can honestly say the thing I’m most eagerly anticipating is the glass, wireless trackpad from Brydge that is made specifically for Chrome OS. 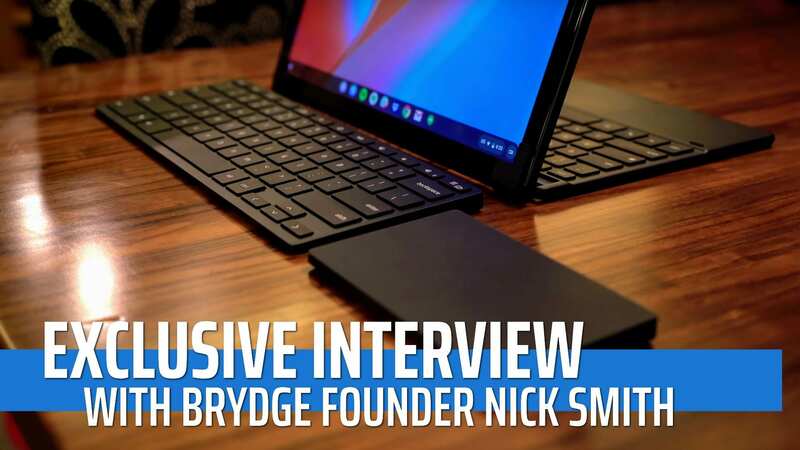 We talked about that device (and the new keyboard that will ship with it in the next few months) in our exclusive hands-on last week, so definitely check that out along with our Brydge G-Type review if you haven’t already. For this video, however, we really wanted to share some of the more intricate details of what makes these wireless accessories unique, and who better to communicate that than the guy behind the entire effort, right? So, we hope you enjoy this brief interview as much as we enjoyed filming it and fully expect you may learn a thing or two!